Kung fu is more than a martial art form. It has a number of fighting styles, mainly coming from China which are categorized into schools. Kung fu styles are separated from each other based on the training methods, techniques, manipulation of “qi” or energy, and even with their geographical association or birthplace. Regardless of what school or kung fu training is preferred, there is no doubt that this martial arts form can definitely improve a person’s sense of self-discipline. Students would be able to learn the basics, forms, use of weapons and different styles when training. But in addition to these, students would also be taught philosophy and ethics. A complete training will not only introduce you to proper stances and execution, but also to culture and philosophy behind the art form. Mostly, kung fu students will sign up for training to improve their physical well-being. Because of the rigorous training and workouts, the body will have better cardiovascular and overall physical health. There are even studies showing that learning kung fu can help improve a person’s bone density. Others prefer to take kung fu training as self-defense. There are training programs and schools that offer kung fu as an effective form of defending yourself against harm. There are schools that teach students on how to survive perilous situations and would include light sparring in their training regimen. Ironically, there are some people who think that kung fu can lead to aggressiveness and violence. Kung fu principles include honor, non-violence, and respect to other individuals. Since kung fu teaches respect, courtesy and trust, parents have been enrolling children and teens in kung fu classes to help them learn these positive attitudes. In addition to this, children who take kung fu lessons are showing improvements in their mental and physical discipline, as well as their self-confidence. Parents even report that children were able to improve their grades and study habits, and develop higher self-esteem. Learning kung fu principles will help students learn how to react calmly to different situations, manage stress, develop mental and spiritual strength, improve concentration and focus. Also, kung fu students are divided into age-based classes. 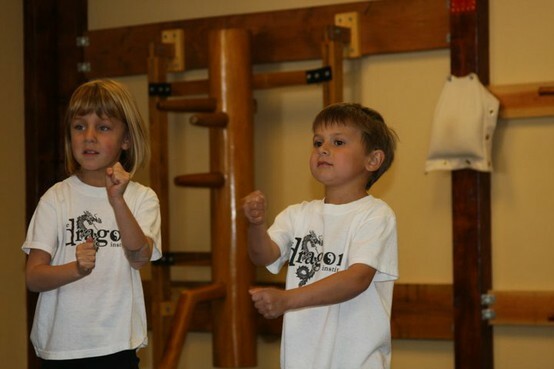 Classes will teach different aspects of kung fu based on the children’s level of understanding. For example, classes with children as young as four or five years old, usually focuses on listening and following instructions and development of their gross motor skills. Teenage students, meanwhile, are taught techniques and execution which is balanced with self-control and developing good work ethics. It is truly amazing how many people still think martial arts promote violence. I come up against this attitude on a regular basis. As you say, honor, respect, and courtesy are the byproduct of study of the arts. We tend to weed out the troublemakers way before they have had the opportunity to use it in the wrong way. Great comment, it’s funny how people that are not in the know will comment and think that martial arts leads to violence. As a long time practitioner in martial arts I feel that some people start training for sport or general fitness other’s like myself have found this to be my no only sport but way of life. Finding a dedicated knowledge teacher who is willing to not only teach the art but the life lessons that come along with it are hard to come by but there are they. I think that not every kid is suited to play baseball or hockey and if they don’t feel that they fit in these categories they should explore martial arts.